If you've ever tried to stargaze in an urban centre, it's likely all you saw were airplanes and satellites; in cities, lights on the ground create a haze that masks the stars from view. That haze is actually a form of pollution, one that most Canadians encounter every day without necessarily realizing it. A few years ago, photographers Gavin Heffernan and Harun Mehmedinovic noticed that this form of pollution was interfering with their work. They take long-exposure photographs, which capture the Milky Way and constellations in stunning detail — along with the ambient glow from any surrounding light sources. “We started to notice that the whole sky looked like a nuclear bomb went off because we were letting so much light in,” says Heffernan, who is Canadian but lives in Los Angeles. “We were escaping the cities to do what we needed to do,” adds Mehmedinovic, a Bosnian-born photographer also living in Los Angeles. Even 150 kilometres away from a city, light pollution was still blowing out their shots. So they began the Skyglow Project, a book and series of timelapse films released this month. The pair spent three years documenting the night skies of North America, turning into night owls with cameras, all in hopes of re-inspiring awe in the stars and raising awareness about the issue of light pollution. What started as a passion project soon turned into a collaboration with organizations and neighbourhoods. 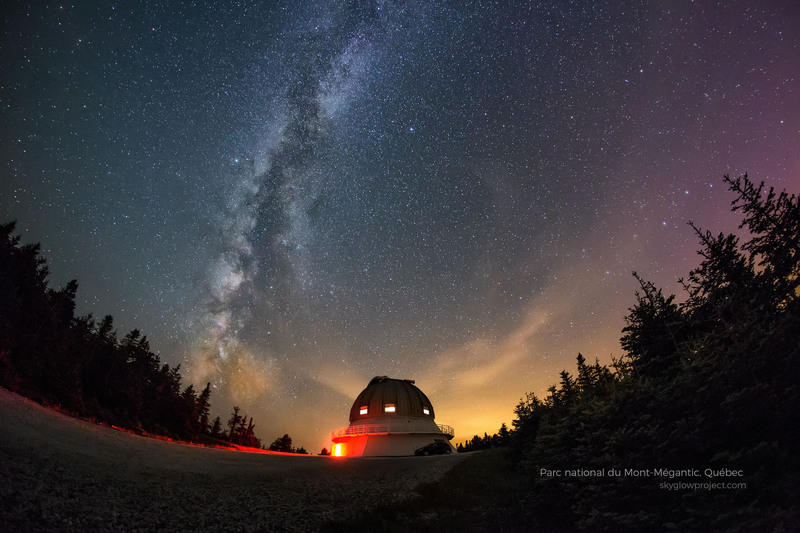 The photographers teamed up with the International Dark Sky Association and began documenting towns and cities that have made conscious efforts to reduce light pollution. The Skyglow Project took Heffernan and Mehmedinovic across Canada from Quebec to Alberta and saw them criss-cross the United States from Florida to Nebraska to California, travelling more than 250,000 kilometres and shooting in all kinds of weather. 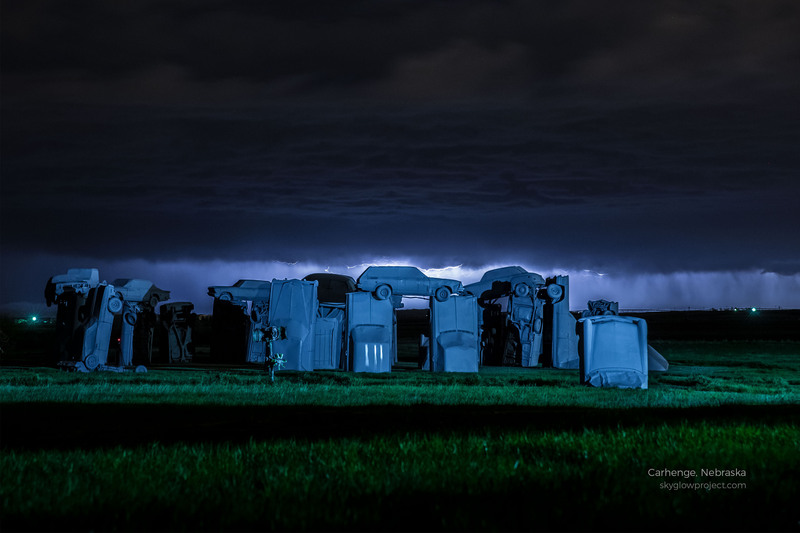 In Nebraska, the two went to photograph the sky against the backdrop of an eccentric art installation called Carhenge, America’s abandoned-car version of Stonehenge. The landscape turned out to be much more dramatic than they had planned. Producing the Skyglow Project was often "an exercise in patience,” says Heffernan — but the cause was worth it. “If you’re going to do a major project, it has to have goals and aims higher than taking pretty pictures,” explains Mehmedinovic. The goal of the Skyglow Project is to remind people what the night sky looks like without pollution, far outside city limits, in hopes that people will rally to the cause and encourage their own municipalities to make small but impactful changes, such as angling streetlights down and moving to dark sky-friendly light bulbs. Once people realize there are alternatives that can reduce light pollution in cities, they quickly take up the cause, the photographers say. Perhaps it’s the childlike and humbling sense of wonder that comes from looking up at a clear night sky. SKYGLOWPROJECT.COM Trailer from Sunchaser Pictures on Vimeo.